Self-driving ride-sharing services could account for one-third of all trips by private drivers in London as soon as 2025. Also, one in seven of the UK capital’s total journeys by any form of transport could be completed via autonomous ride-sharing within eight years, according to a study conducted by the MERGE Greenwich transport consortium. 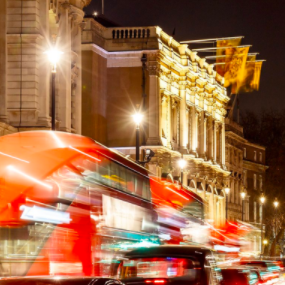 MERGE is working out the Smart Mobility Living Lab: London to develop a model to integrate AVs, ride-sharing and existing transport into multi-modal transport system. The next stage could see real-world testing to determine how AV ride-sharing services might enhance mobility for London. MERGE says AV ride-sharing will likely provide enhanced safety, greater accessibility, reduced parking and higher vehicle utilisation which could reduce congestion and emissions. “However, the lack of a driver means secondary functions, such as assistance for passengers or goods, will need to be addressed,” the initiative admits.